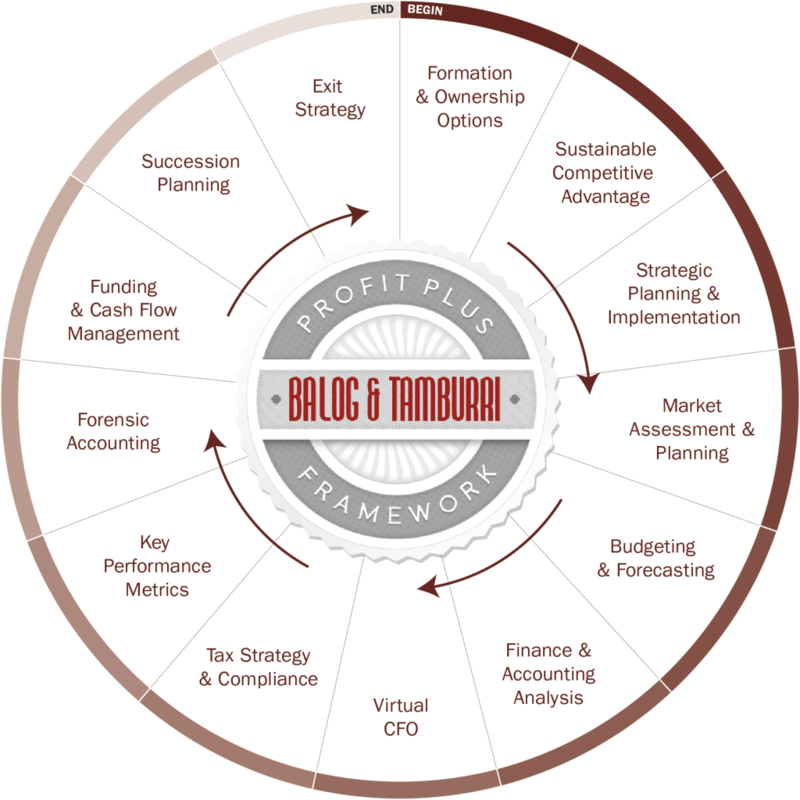 Balog & Tamburri CPA’s, LLC is uniquely qualified to deploy its experienced and deeply qualified professional resources on your behalf and align them at any stage of your business from inception through exit strategy. Please refer to the Circle of Services diagram below. Our ProfitPlus® Framework allows our clients to focus on the Future while never losing sight of the bottom line.